I'm a bit Mega Man-crazy these days thanks to roughly two full months of dedicating a large portion of my free time to recording and responding to comments on Mega Man videos for my YouTube channel. I promise I do talk about other fandoms...I just seem to have forgotten which fandoms those are. Anybuster, I've made a few Mega Man-related purchases recently that have proven to be wonderful investments. Capcom has been releasing some very pretty books showcasing the art of some of their most popular properties, such as Phoenix Wright and Mega Man, and being the irrepressible fanboy that I am, I absolutely could not pass up a chance to own Mega Man and Mega Man X Official Complete Works. These two books, along with Mega Man Zero Complete Works (which seems to be on backorder everywhere right now), collect two decades of Mega Man artwork--design sketches, box art, instruction manual illustrations, and elaborate art pieces for special occasions. The art in and of itself is very attractive (well, as attractive as Toad Man can be, anyhow), and it's fascinating to see how the look of the characters has evolved over time and in the hands of different artists. Mega Man has been a most prolific series, and chances are good that you'll see art from at least one game you've never even heard of. 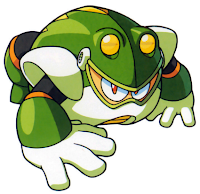 Beyond that, Mega Man and company have made several appearances in magazines, manga, and other non-video game formats, and these books collect a healthy number of samples from those as well. From illustrations that every fan has seen to rare artwork that you couldn't even find on the Internet before these books were published, Mega Man Official Complete Works and its counterparts have it all. Alongside the pictures are insightful blurbs from the artists, which grant a behind-the-scenes look at the process that went into creating these characters, share some interesting anecdotes, and give the opinions of the artists on the illustrations and the games. Each picture is identified, as well--finally, you can learn the often-unusual names of every single stage enemy you've ever fought. Artwork is divided by game, and each game has a little "stat block" that covers basic info about the game, such as release date and number of robot master idea submissions--did you know that 220,000 people sent in ideas for bosses to include in Mega Man 7? 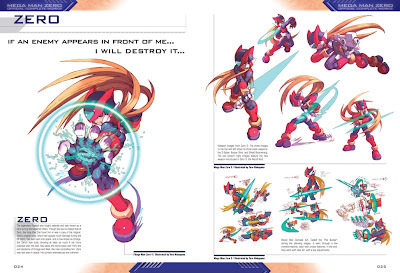 These books are an absolute treasure trove for Mega Man fans, and if the sold-out Mega Man Zero book's ridiculously high used sale price is any indication, these books are true collector's items. If you're even remotely interested in a Complete Works book, grab it while you've still got the chance. And... um... if you see a Mega Man Zero, be sure to pick up an extra for me, please. That's very interesting. The Phoenix Wright book is only like that for the Apollo Justice section; they limit the Phoenix Wright artwork to the in-game sprites for some reason. That's strange. Maybe they couldn't get a hold of the original art?